This article is about waves, sometimes called "seismic sea waves," that travel through the ocean. For waves that travel through the Earth itself, see Seismic wave. A tsunami (plural: tsunamis or tsunami; from Japanese: 津波, lit. "harbour wave"; English pronunciation: /tsuːˈnɑːmi/) , also known as a seismic sea wave, is a series of waves in a water body caused by the displacement of a large volume of water, generally in an ocean or a large lake. Earthquakes, volcanic eruptions and other underwater explosions (including detonations of underwater nuclear devices), landslides, glacier calvings, meteorite impacts and other disturbances above or below water all have the potential to generate a tsunami. Unlike normal ocean waves which are generated by wind, or tides which are generated by the gravitational pull of the Moon and Sun, a tsunami is generated by the displacement of water. Tsunami waves do not resemble normal undersea currents or sea waves, because their wavelength is far longer. Rather than appearing as a breaking wave, a tsunami may instead initially resemble a rapidly rising tide, and for this reason they are often referred to as tidal waves, although this usage is not favoured by the scientific community because tsunamis are not tidal in nature. 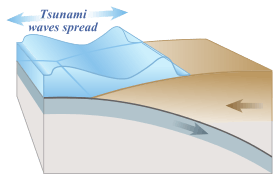 Tsunamis generally consist of a series of waves with periods ranging from minutes to hours, arriving in a so-called "internal wave train". Wave heights of tens of metres can be generated by large events. 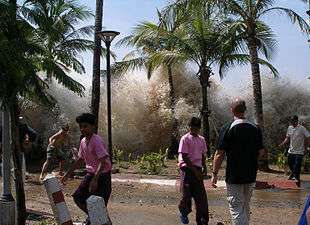 Although the impact of tsunamis is limited to coastal areas, their destructive power can be enormous and they can affect entire ocean basins; the 2004 Indian Ocean tsunami was among the deadliest natural disasters in human history with at least 230,000 people killed or missing in 14 countries bordering the Indian Ocean. Greek historian Thucydides suggested in his late-5th century BC History of the Peloponnesian War, that tsunamis were related to submarine earthquakes, but the understanding of a tsunami's nature remained slim until the 20th century and much remains unknown. Major areas of current research include trying to determine why some large earthquakes do not generate tsunamis while other smaller ones do; trying to accurately forecast the passage of tsunamis across the oceans; and also to forecast how tsunami waves interact with specific shorelines. 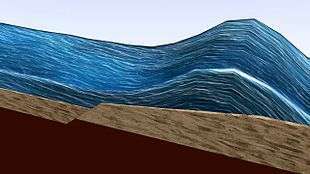 Numerous terms are used in the English language to describe waves created in a body of water by the displacement of water; however, none of the terms in frequent use are entirely accurate. The term tsunami, meaning "harbour wave" in literal translation, comes from the Japanese 津波, composed of the two kanji 津 (tsu) meaning "harbour" and 波 (nami), meaning "wave". (For the plural, one can either follow ordinary English practice and add an s, or use an invariable plural as in the Japanese.) While not entirely accurate, as tsunami are not restricted to harbours, tsunami is currently the term most widely accepted by geologists and oceanographers. Tsunami are sometimes referred to as tidal waves. This once-popular term derives from the most common appearance of tsunami, which is that of an extraordinarily high tidal bore. Tsunami and tides both produce waves of water that move inland, but in the case of tsunami the inland movement of water may be much greater, giving the impression of an incredibly high and forceful tide. In recent years, the term "tidal wave" has fallen out of favour, especially in the scientific community, because tsunami actually have nothing to do with tides, which are produced by the gravitational pull of the moon and sun rather than the displacement of water. Although the meanings of "tidal" include "resembling" or "having the form or character of" the tides, use of the term tidal wave is discouraged by geologists and oceanographers. The term seismic sea wave also is used to refer to the phenomenon, because the waves most often are generated by seismic activity such as earthquakes. Prior to the rise of the use of the term tsunami in English-speaking countries, scientists generally encouraged the use of the term seismic sea wave rather than the inaccurate term tidal wave. However, like tsunami, seismic sea wave is not a completely accurate term, as forces other than earthquakes – including underwater landslides, volcanic eruptions, underwater explosions, land or ice slumping into the ocean, meteorite impacts, and the weather when the atmospheric pressure changes very rapidly – can generate such waves by displacing water. While Japan may have the longest recorded history of tsunamis, the sheer destruction caused by the 2004 Indian Ocean earthquake and tsunami event mark it as the most devastating of its kind in modern times, killing around 230,000 people. The Sumatran region is not unused to tsunamis either, with earthquakes of varying magnitudes regularly occurring off the coast of the island. "The cause, in my opinion, of this phenomenon must be sought in the earthquake. At the point where its shock has been the most violent the sea is driven back, and suddenly recoiling with redoubled force, causes the inundation. Without an earthquake I do not see how such an accident could happen." 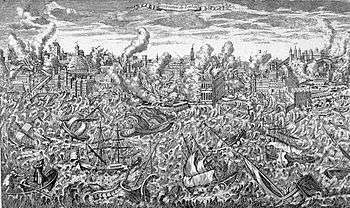 The Roman historian Ammianus Marcellinus (Res Gestae 26.10.15-19) described the typical sequence of a tsunami, including an incipient earthquake, the sudden retreat of the sea and a following gigantic wave, after the 365 AD tsunami devastated Alexandria. The principal generation mechanism (or cause) of a tsunami is the displacement of a substantial volume of water or perturbation of the sea. This displacement of water is usually attributed to either earthquakes, landslides, volcanic eruptions, glacier calvings or more rarely by meteorites and nuclear tests. The waves formed in this way are then sustained by gravity. Tides do not play any part in the generation of tsunamis. On April 1, 1946, a magnitude-7.8 (Richter Scale) earthquake occurred near the Aleutian Islands, Alaska. 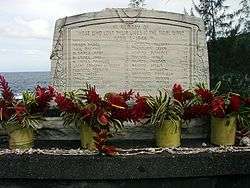 It generated a tsunami which inundated Hilo on the island of Hawai'i with a 14-metre high (46 ft) surge. 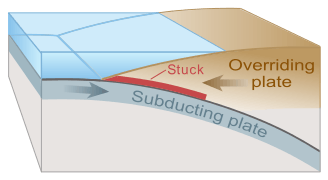 The area where the earthquake occurred is where the Pacific Ocean floor is subducting (or being pushed downwards) under Alaska. The 1960 Valdivia earthquake (Mw 9.5), 1964 Alaska earthquake (Mw 9.2), 2004 Indian Ocean earthquake (Mw 9.2), and 2011 Tōhoku earthquake (Mw9.0) are recent examples of powerful megathrust earthquakes that generated tsunamis (known as teletsunamis) that can cross entire oceans. Smaller (Mw 4.2) earthquakes in Japan can trigger tsunamis (called local and regional tsunamis) that can only devastate nearby coasts, but can do so in only a few minutes. 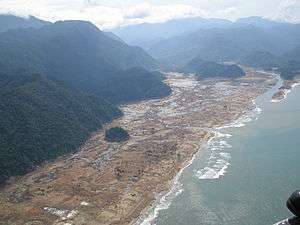 In general, landslides generate displacements mainly in the shallower parts of the coastline, and there is conjecture about the nature of large landslides that enter water. This has been shown to lead to effect water in enclosed bays and lakes, but a landslide large enough to cause a transoceanic tsunami has not occurred within recorded history. Susceptible locations are believed to be the Big Island of Hawaii, Fogo in the Cape Verde Islands, La Reunion in the Indian Ocean, and Cumbre Vieja on the island of La Palma in the Canary Islands; along with other volcanic ocean islands. This is because large masses of relatively unconsolidated volcanic material occurs on the flanks and in some cases detachment planes are believed to be developing. However, there is growing controversy about how dangerous these slopes actually are. Some meteorological conditions, especially rapid changes in barometric pressure, as seen with the passing of a front, can displace bodies of water enough to cause trains of waves with wavelengths comparable to seismic tsunami, but usually with lower energies. These are essentially dynamically equivalent to seismic tsunami, the only differences being that meteotsunami lack the transoceanic reach of significant seismic tsunami, and that the force that displaces the water is sustained over some length of time such that meteotsunami can't be modelled as having been caused instantaneously. In spite of their lower energies, on shorelines where they can be amplified by resonance they are sometimes powerful enough to cause localised damage and potential for loss of life. They have been documented in many places, including the Great Lakes, the Aegean Sea, the English Channel, and the Balearic Islands, where they are common enough to have a local name, rissaga. In Sicily they are called marubbio and in Nagasaki Bay they are called abiki. Some examples of destructive meteotsunami include 31 March 1979 at Nagasaki and 15 June 2006 at Menorca, the latter causing damage in the tens of millions of euros. Meteotsunami should not be confused with storm surges, which are local increases in sea level associated with the low barometric pressure of passing tropical cyclones, nor should they be confused with setup, the temporary local raising of sea level caused by strong on-shore winds. Storm surges and setup are also dangerous causes of coastal flooding in severe weather but their dynamics are completely unrelated to tsunami waves. They are unable to propagate beyond their sources, as waves do. There have been studies of the potential of induction of and at least one actual attempt to create tsunami waves as a tectonic weapon. There has been considerable speculation on the possibility of using nuclear weapons to cause tsunamis near to an enemy coastline. Even during World War II consideration of the idea using conventional explosives was explored. Nuclear testing in the Pacific Proving Ground by the United States seemed to generate poor results. Operation Crossroads fired two 20 kilotonnes of TNT (84 TJ) bombs, one in the air and one underwater, above and below the shallow (50 m (160 ft)) waters of the Bikini Atoll lagoon. Fired about 6 km (3.7 mi) from the nearest island, the waves there were no higher than 3–4 m (9.8–13.1 ft) upon reaching the shoreline. Other underwater tests, mainly Hardtack I/Wahoo (deep water) and Hardtack I/Umbrella (shallow water) confirmed the results. 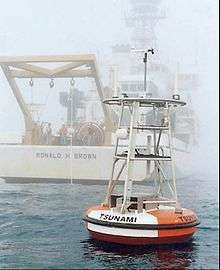 Analysis of the effects of shallow and deep underwater explosions indicate that the energy of the explosions doesn't easily generate the kind of deep, all-ocean waveforms which are tsunamis; most of the energy creates steam, causes vertical fountains above the water, and creates compressional waveforms. Tsunamis are hallmarked by permanent large vertical displacements of very large volumes of water which don't occur in explosions. The velocity of a tsunami can be calculated by obtaining the square root of the depth of the water in metres multiplied by the acceleration due to gravity (approximated to 10 m sec2). For example, if the Pacific Ocean is considered to have a depth of 5000 metres, the velocity of a tsunami would be the square root of √5000 x 10 = √50000 = ~224 metres per second (735 feet per second), which equates to a speed of ~806 kilometres per hour or about 500 miles per hour. This formula is the same as used for calculating the velocity of shallow waves, because a tsunami behaves like a shallow wave as it peak to peak value reaches from the floor of the ocean to the surface. When the tsunami's wave peak reaches the shore, the resulting temporary rise in sea level is termed run up. Run up is measured in metres above a reference sea level. A large tsunami may feature multiple waves arriving over a period of hours, with significant time between the wave crests. The first wave to reach the shore may not have the highest run up. All waves have a positive and negative peak, i.e. a ridge and a trough. In the case of a propagating wave like a tsunami, either may be the first to arrive. If the first part to arrive at shore is the ridge, a massive breaking wave or sudden flooding will be the first effect noticed on land. However, if the first part to arrive is a trough, a drawback will occur as the shoreline recedes dramatically, exposing normally submerged areas. Drawback can exceed hundreds of metres, and people unaware of the danger sometimes remain near the shore to satisfy their curiosity or to collect fish from the exposed seabed. A typical wave period for a damaging tsunami is about 12 minutes. This means that if the drawback phase is the first part of the wave to arrive, the sea will recede, with areas well below sea level exposed after 3 minutes. During the next 6 minutes the tsunami wave trough builds into a ridge, and during this time the sea is filled in and destruction occurs on land. During the next 6 minutes, the tsunami wave changes from a ridge to a trough, causing flood waters to drain and drawback to occur again. This may sweep victims and debris some distance from land. The process repeats as the next wave arrives. where is the average wave height along the nearest coast. This scale, known as the Soloviev-Imamura tsunami intensity scale, is used in the global tsunami catalogues compiled by the NGDC/NOAA and the Novosibirsk Tsunami Laboratory as the main parameter for the size of the tsunami. The Pacific Tsunami Warning System is based in Honolulu, Hawaiʻi. It monitors Pacific Ocean seismic activity. A sufficiently large earthquake magnitude and other information triggers a tsunami warning. While the subduction zones around the Pacific are seismically active, not all earthquakes generate tsunami. Computers assist in analysing the tsunami risk of every earthquake that occurs in the Pacific Ocean and the adjoining land masses. Kunihiko Shimazaki (University of Tokyo), a member of Earthquake Research committee of The Headquarters for Earthquake Research Promotion of Japanese government, mentioned the plan for public announcement of tsunami attack probability forecast at Japan National Press Club on 12 May 2011. The forecast includes tsunami height, attack area and occurrence probability within 100 years ahead. The forecast would integrate the scientific knowledge of recent interdisciplinarity and aftermath of the 2011 Tōhoku earthquake and tsunami. As the plan, announcement will be available from 2014. Japan, where tsunami science and response measures first began following a disaster in 1896, has produced ever-more elaborate countermeasures and response plans. 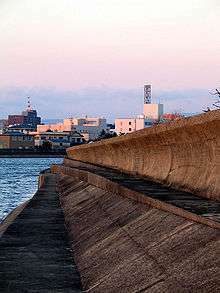 The country has built many tsunami walls of up to 12 metres (39 ft) high to protect populated coastal areas. Other localities have built floodgates of up to 15.5 metres (51 ft) high and channels to redirect the water from incoming tsunami. However, their effectiveness has been questioned, as tsunami often overtop the barriers. The Fukushima Daiichi nuclear disaster was directly triggered by the 2011 Tōhoku earthquake and tsunami, when waves exceeded the height of the plant's sea wall. Iwate Prefecture, which is an area at high risk from tsunami, had tsunami barriers walls totalling 25 kilometres (16 mi) long at coastal towns. The 2011 tsunami toppled more than 50% of the walls and caused catastrophic damage. The Okushiri, Hokkaidō tsunami which struck Okushiri Island of Hokkaidō within two to five minutes of the earthquake on July 12, 1993, created waves as much as 30 metres (100 ft) tall—as high as a 10-story building. The port town of Aonae was completely surrounded by a tsunami wall, but the waves washed right over the wall and destroyed all the wood-framed structures in the area. The wall may have succeeded in slowing down and moderating the height of the tsunami, but it did not prevent major destruction and loss of life. ↑ "Tsunami Terminology". NOAA. Retrieved 2010-07-15. ↑ Wells, John C. (1990). Longman pronunciation dictionary. Harlow, England: Longman. p. 736. ISBN 0-582-05383-8. Entry: "tsunami"
↑ "Deep Ocean Tsunami Waves off the Sri Lankan Coast". Retrieved 3 November 2016. ↑ Barbara Ferreira (April 17, 2011). "When icebergs capsize, tsunamis may ensue". Nature. Retrieved 2011-04-27. ↑ "NASA Finds Japan Tsunami Waves Merged, Doubling Power". Retrieved 3 November 2016. ↑ Fradin, Judith Bloom and Dennis Brindell (2008). Witness to Disaster: Tsunamis. Witness to Disaster. Washington, D.C.: National Geographic Society. pp. 42, 43. 1 2 Smid, T. C. (April 1970). 'Tsunamis' in Greek Literature. Greece & Rome. 17 (2nd ed.). pp. 100–104. ↑ "Definition of TIDAL WAVE". Retrieved 3 November 2016. ↑ "Seismic Sea Wave - Tsunami Glossary". Retrieved 3 November 2016. ↑ "tsunamis". Retrieved 3 November 2016. ↑ postcode=3001, corporateName=Bureau of Meteorology; address=GPO Box 1289, Melbourne, Victoria, Australia;. "Joint Australian Tsunami Warning Centre". Retrieved 3 November 2016. ↑ The 10 most destructive tsunamis in history, Australian Geographic, March 16, 2011. ↑ Kelly, Gavin (2004). "Ammianus and the Great Tsunami". The Journal of Roman Studies. 94 (141): 141–167. doi:10.2307/4135013. JSTOR 4135013. ↑ Stanley, Jean-Daniel & Jorstad, Thomas F. (2005), "The 365 A.D. Tsunami Destruction of Alexandria, Egypt: Erosion, Deformation of Strata and Introduction of Allochthonous Material"
↑ Haugen, K; Lovholt, F; Harbitz, C (2005). "Fundamental mechanisms for tsunami generation by submarine mass flows in idealised geometries". Marine and Petroleum Geology. 22 (1–2): 209–217. doi:10.1016/j.marpetgeo.2004.10.016. ↑ Margaritondo, G (2005). "Explaining the physics of tsunamis to undergraduate and non-physics students". European Journal of Physics. 26 (3): 401. Bibcode:2005EJPh...26..401M. doi:10.1088/0143-0807/26/3/007. ↑ Voit, S.S (1987). "Tsunamis". Annual Review of Fluid Mechanics. 19 (1): 217–236. Bibcode:1987AnRFM..19..217V. doi:10.1146/annurev.fl.19.010187.001245. ↑ "How do earthquakes generate tsunamis?". University of Washington. ↑ Kanamori H. (1971). "Seismological evidence for a lithospheric normal faulting — the Sanriku earthquake of 1933". Physics of the Earth and Planetary Interiors. 4 (4): 298–300. Bibcode:1971PEPI....4..289K. doi:10.1016/0031-9201(71)90013-6. ↑ Facts and figures: how tsunamis form, Australian Geographic, March 18, 2011. ↑ George Pararas-Carayannis (1999). "The Mega-Tsunami of July 9, 1958 in Lituya Bay, Alaska". Retrieved 2014-02-27. ↑ Petley, Dave (Professor) (2008-12-11). "The Vaiont (Vajont) landslide of 1963". The Landslide Blog. Retrieved 2014-02-26. ↑ Duff, Mark (2013-10-10). "Italy Vajont anniversary: Night of the 'tsunami'". BBC News. Bbc.co.uk. Retrieved 2014-02-27. ↑ Pararas-Carayannis, George (2002). "Evaluation of the threat of mega tsunami generation from postulated massive slope failures of the island volcanoes on La Palma, Canary Islands, and on the island of Hawaii". Science of Tsunami Hazards. 20 (5): 251–277. Retrieved 7 September 2014. 1 2 Monserrat, S.; Vilibíc, I.; Rabinovich, A. B. (2006). "Meteotsunamis: atmospherically induced destructive ocean waves in the tsunami frequency band" (PDF). Natural Hazards and Earth System Sciences. 6 (6): 1035–1051. doi:10.5194/nhess-6-1035-2006. Retrieved 23 November 2011. ↑ "The Hauraki Gulf Marine Park, Part 2". Inset to The New Zealand Herald. 3 March 2010. p. 9. ↑ Glasstone, Samuel; Dolan, Philip (1977). Shock effects of surface and subsurface bursts - The effects of nuclear weapons (third ed.). Washington, DC: U.S. Department of Defense; Energy Research and Development Administration. 1 2 "Life of a Tsunami". Western Coastal & Marine Geology. United States Geographical Survey. 22 October 2008. Retrieved 2009-09-09. ↑ Prof. Stephen A. Nelson (28 January 2009). "Tsunami". Tulane University. Retrieved 2009-09-09. 1 2 Gusiakov V. "Tsunami Quantification: how we measure the overall size of tsunami (Review of tsunami intensity and magnitude scales)" (PDF). Retrieved 2009-10-18. ↑ Center, National Geophysical Data. "NGDC/WDS Global Historical Tsunami Database - NCEI". Retrieved 3 November 2016. ↑ Lekkas E.; Andreadakis E.; Kostaki I. & Kapourani E. (2013). "A Proposal for a New Integrated Tsunami Intensity Scale (ITIS‐2012)". Bulletin Seismological Society of America. 103 (2B). Bibcode:2013BuSSA.103.1493L. doi:10.1785/0120120099. ↑ Katsetsiadou, K.N., Andreadakis, E. and Lekkas, E., 2016. Tsunami intensity mapping: applying the integrated Tsunami Intensity Scale (ITIS2012) on Ishinomaki Bay Coast after the mega-tsunami of Tohoku, March 11, 2011. Research in Geophysics, 5(1). ↑ Abe K. (1995). Estimate of Tsunami Run-up Heights from Earthquake Magnitudes. Tsunami: progress in prediction, disaster prevention, and warning. ISBN 978-0-7923-3483-5. Retrieved 2009-10-18. ↑ Chanson, H. (2010). Tsunami Warning Signs on the Enshu Coast of Japan. 78. Shore & Beach. pp. 52–54. ISSN 0037-4237. ↑ Lambourne, Helen (2005-03-27). "Tsunami: Anatomy of a disaster". BBC. ↑ Kenneally, Christine (2004-12-30). "Surviving the Tsunami: What Sri Lanka's animals knew that humans didn't". Slate Magazine. ↑ Forecast of earthquake probability is within 30 years ahead, however Tsunami attack probability is much lower than earthquake so that the plan is set to be within 100 years ahead. Yomiuri Shimbun 2011-05-13 ver.13S page 2, 津波の襲来確率、初の公表へ…地震調査委員会 [Newly public announce of Tsunami attack probability...Earthquake Research committee of Japan]. Yomiuri Shimbun (in Japanese). 2011-05-12. Retrieved 2011-05-13. ↑ Margie Mason (2011-05-12). "Experts: Early warnings mitigated Japan disaster". Associated Press. ↑ "Journalist's Resource: Research for Reporting, from Harvard Shorenstein Center". Content.hks.harvard.edu. 2012-05-30. Retrieved 2012-06-12. ↑ Phillip Lipscy, Kenji Kushida, and Trevor Incerti. 2013. "The Fukushima Disaster and Japan’s Nuclear Plant Vulnerability in Comparative Perspective". Environmental Science and Technology 47 (May), 6082-6088. ↑ Fukada, Takahiro (21 September 2011). "Iwate fisheries continue struggle to recover". The Japan Times. p. 3. Retrieved 2016-09-18. ↑ George Pararas-Carayannis. 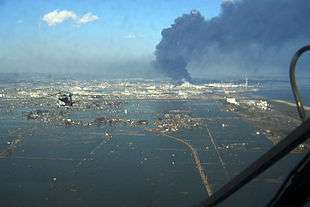 "The Earthquake and Tsunami of July 12, 1993 in the Sea of Japan/East Sea". www.drgeorgepc.com. Retrieved 2016-09-18. Wikimedia Commons has media related to Tsunami.